Vacations are made for indulgence and your Alaskan vacation should be no different. Why not treat yourself to a signature Alaskan dessert? Try one of these unforgettable treats before your trip or plan a party when you return to share the memories (and deliciousness) with friends. Ice cream and sponge cake and meringue, oh my! This classic confection shows up in endless forms as chefs swap between flavors of ice cream, cake, and meringues. There is a certain magic to a dessert that is baked and yet still has frozen ice cream inside. Cover yours in rum and set it alight for a Bombe Alaska. “Alaska” was famously added to the name of this dessert by the head chef at Delmonico’s to honor the US purchase of Alaska from Russia. 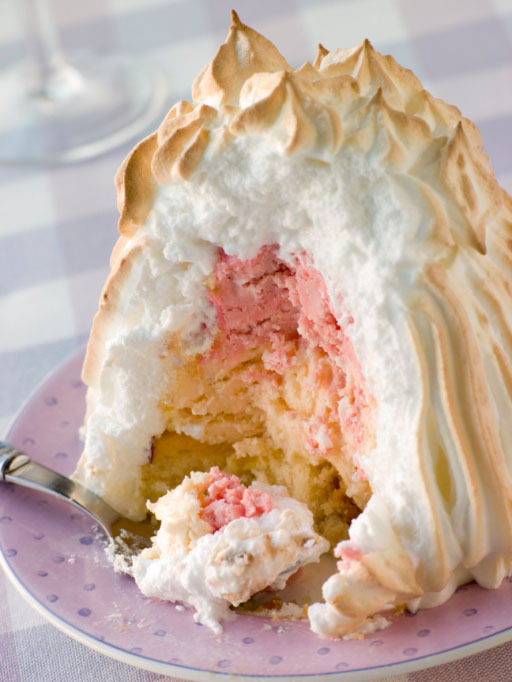 Celebrate the 49th state by eating a Baked Alaska while in Alaska. Alaska is home to many varieties of berries and the wild ones always taste the best. 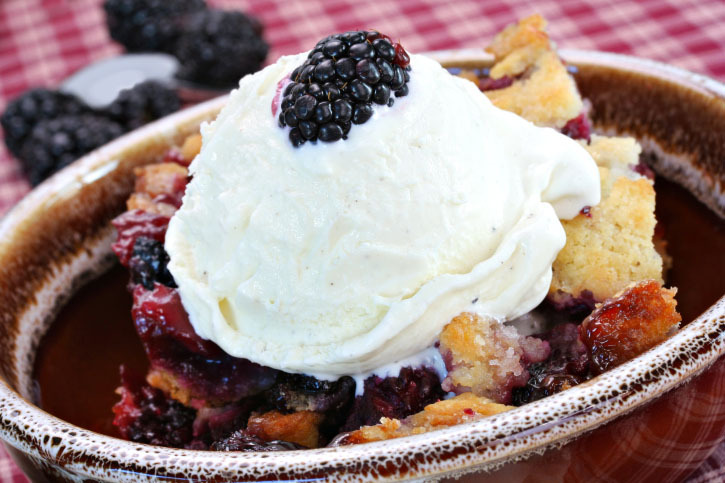 You could make this dessert using any favorite cobbler recipe and whatever fresh berries you’ve picked that day. 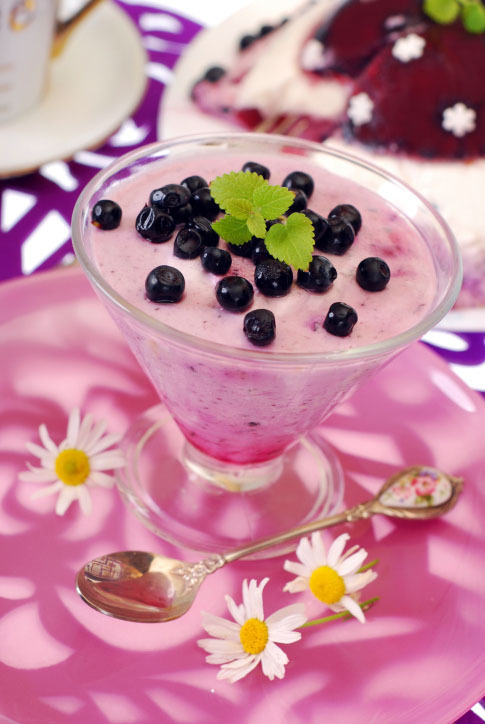 Common Alaskan berries include: raspberries, blackberries, and blueberries. Make your cobbler an Alaskan adventure by including more unusual Alaskan fruit. Try salmonberries, lingonberries, and mossberries in your recipe for a special delight. This is the most Alaskan of desserts, though only a few hardy travelers try it. Native Alaskans create this “Eskimo Ice Cream” by mixing seal oil, reindeer fat, snow, and berries. The ingredients are hand-whipped until they form a foam. Sugar is not traditional but adds fluffiness. This food was originally eaten for survival rather than as a treat, and recipes have been passed down through generations of Native families. Other traditional ingredients include moose, caribou, and fish. Modern variations often include Crisco. Rarely in the cookie world do you get to combine oats (healthy) with coconut (delicious and chewy), Rice Krispies (texture) and TWO kinds of sugar. The origins of this cookie are obscure. One online recipe site claims friends of friends brought the recipe home from Alaska decades ago. We like to think it was invented by elves living in Alaska’s panhandle. 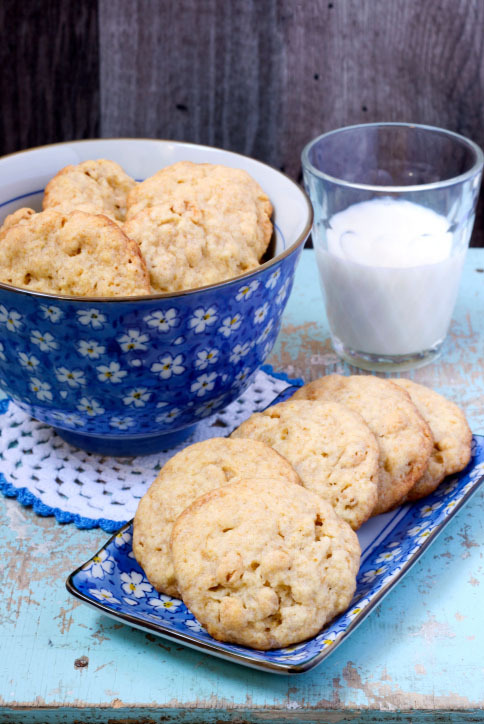 These cookies are unusual enough you could claim the recipe has been in your family for generations if you wanted to. Once you bite into one of these tasty treats, you won’t care where the recipe came from as long as your stash doesn’t run out. You may think with Alaska’s Russian history that this dessert is named for Russia’s final imperial family. But that’s not the case. In fine dessert creation tradition, chef after chef throughout history found new and interesting ways to combine strawberries, cream, and liqueur. Whether Chef Mike Romanoff’s version was best or he was the best marketer is lost to history. Either way, the concoction of strawberries soaked in Grand Marnier and served with thick cream is now known as Strawberries Romanoff. 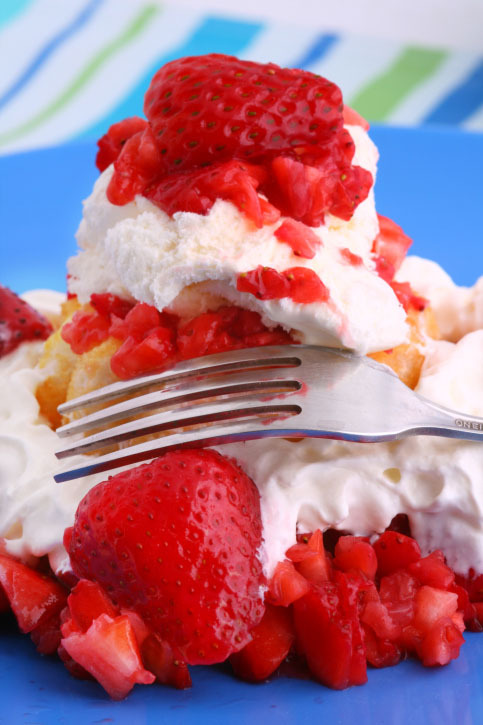 Alaska put its special spin on Strawberries Romanoff by stiffening the whipped cream with cream cheese and serving it all over bread pudding. Thus Alaskan Strawberries Romanoff Bread Pudding was born and the world rejoiced. Seriously. If the Romanoffs had only known, they would have demanded this dessert at every meal. What’s your favorite Alaskan dessert? See current specials at Princess Lodges.